Pizza is one of my favorite foods. Yep, I'm a nutritionist and healthy lifestyle advocate that loves pizza. Because of my love for pizza I had to find a healthier way to enjoy my pizza, in moderation of course. 😉 This is not an every day meal, but it definitely cuts out the over sugary processed pizza crusts, sugary sauces, heavy and processed oils! There are a few wins in there! 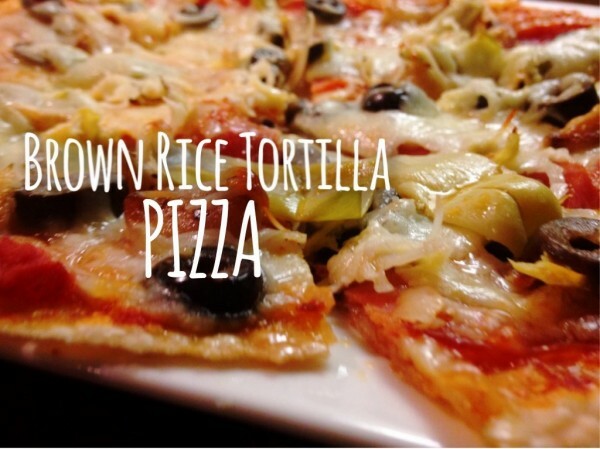 My secret for my healthier pizza is given away in the name for this recipe... Brown Rice Tortillas. Brown Rice Tortillas are a staple in my life, but my greatest discovery was learning that they make a great pizza crust. The brown rice tortillas that I use are gluten free, no sugar, and delicious (when heated). So it's easy. 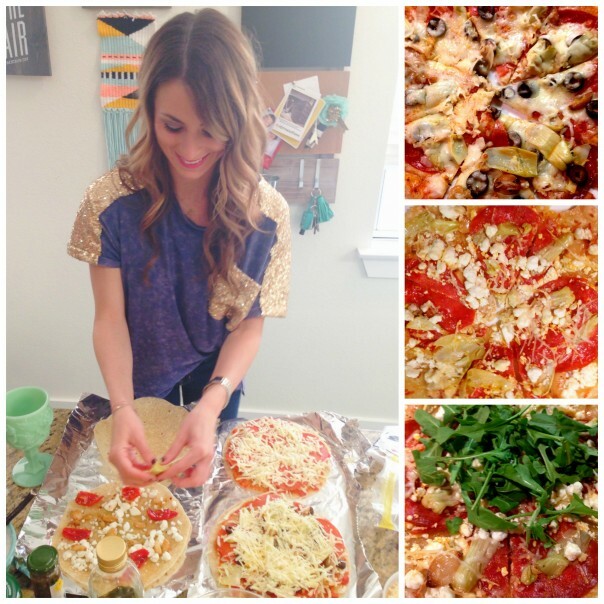 Preheat your oven, add your toppings, bake, and enjoy your "healthier" pizza! Quick tip on sauce and oils... I like using a no sugar added organic pizza sauce. Did you know that most tomato sauces have tons of sugar added in?! Crazy! No wonder we're addicted to sugar. Try something like thisONE (link is for a 6 pack). 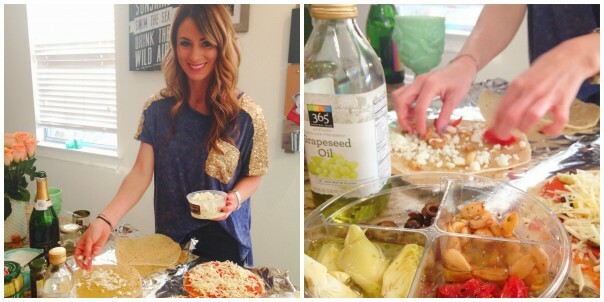 I also use Grapeseed Oil when making a oil based pizza vs. a tomato sauce pizza. For example, sometimes I just want a nice garlicy pizza (surprisingly I still have friends), so I'll do grapeseed oil and garlic and the rest of my toppings. The reason I use grapeseed oil over olive oil is because the grapeseed oil can take the heat! Say Cheese! I recommended using all organic cheeses, raw if that is an option. Goat cheese is a great option for a lighter topping that will still give you great flavor. A little cheese actually goes a long way. Looking to add protein? Use some already cooked organic chicken, cooked organic ground turkey, even some cooked organic turkey sausage! Lastly, my clients always hear me say, "when in doubt, just add greens!" Add a big pile of arugula on top of your pizza for a healthy upgrade! The world is your oyster with toppings really! Be creative and keep in mind: organic, a little cheese goes a long way, no sugar added sauces, grapeseed vs. olive oil if wanting an oiled based pizza, add some greens!! Remember, pizza is still a treat, eat in moderation! Bake at 350 for 10-12 Minutes. *Time varies depending on the amount of toppings, so watch closely for your pizza to be cooked just as you like it. Watch the Non Marinara and/or goat cheese pizzas even closer as there are less visual clues to when it’s done.